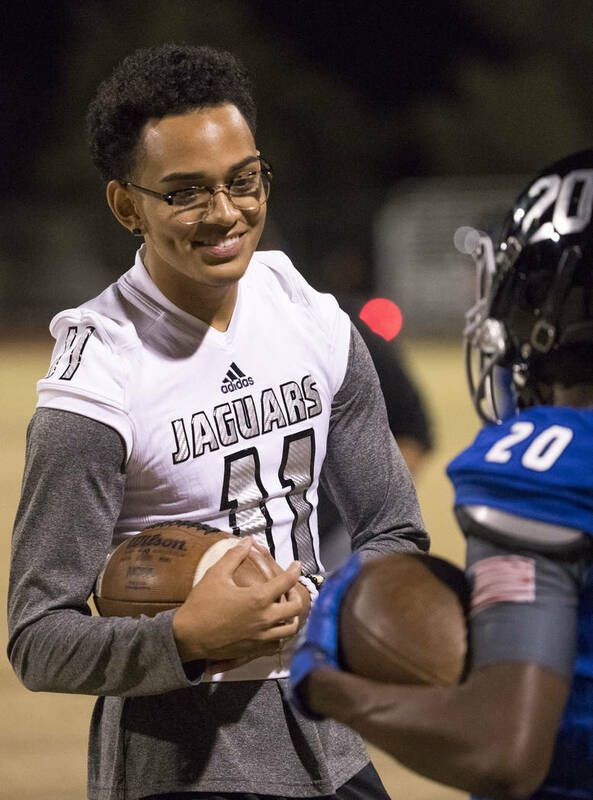 Desert Pines senior Kaleb Ramsey is one of the top defensive backs in Southern Nevada and accepted a scholarship to play football at Pima Community College in Arizona despite being ruled ineligible for his senior year. Kaleb Ramsey is not a high school football player. He was one of the best defensive backs in Southern Nevada, until the Nevada Interscholastic Activities Association, undeterred by documentation proving his residence, ended his prep career by ruling him ineligible to play for Desert Pines this season. But Ramsey persevered through the NIAA’s decision and earned a scholarship to play at Pima Community College in Tucson, Arizona. Ramsey was born in Texas and moved to Las Vegas with his mother — a domestic violence survivor — when he was 4. He grew up a Baltimore Ravens fan and dreamed of emulating All-Pro safety Ed Reed on the field. As a youngster, he often played against older, more mature competition. Ramsey began his high school career at Coronado and excelled on the freshman team, before moving and transferring as a sophomore to Green Valley, where he made his varsity debut. He emerged as a starter for the Gators, but had to move again because of “family problems,” meaning he’d play his junior season for Desert Oasis. 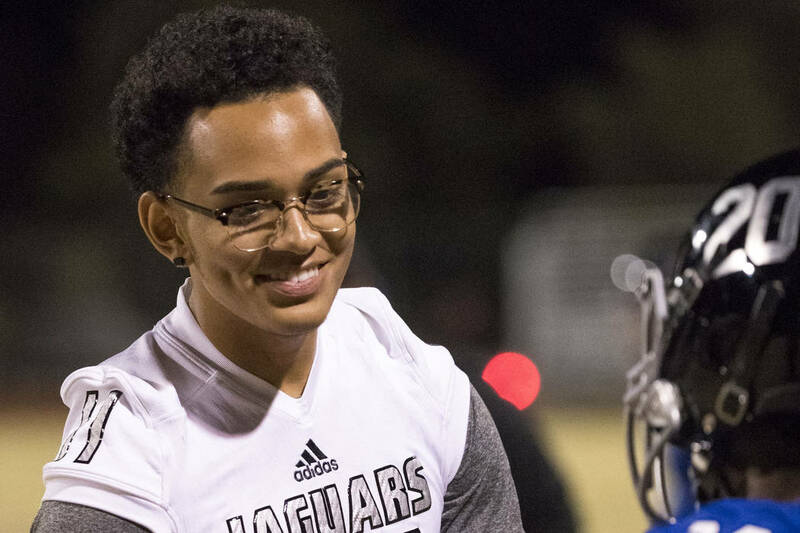 More family turmoil meant one more move, so Ramsey relocated into the Desert Pines’ school zone this March and filed the necessary paperwork with the athletics and registrar offices. He worked out with the Jaguars’ defense and attended several collegiate camps, drawing attention from several Division-I programs, like Arizona State, Arizona, San Diego State, UNLV and Nevada. But on July 24, the NIAA ruled him ineligible, citing that his family did not abandon its previous residence, where his 27-year-old sister still lived in Desert Oasis’ zone. Ramsey and his mother filed an appeal, but it was denied days before Desert Pines’ first game. NIAA executive director Bart Thompson, who oversees rules, regulations and policies including eligibility, declined to comment through attorney Paul Anderson, referencing Ramsey’s status as a minor and the Family Educational Rights and Privacy Act, which protects the records of student-athletes. He all but wrote off his chances of playing college football, assumed his career was over and focused on becoming a good teammate and mentor for the younger players on the Jaguars’ roster. Ramsey attended practices and games and took pride in sharing his insights with freshmen and sophomores, many of whom are key contributors for Desert Pines. Ramsey will fulfill his duties as the Jaguars’ ballboy and hype man during games. 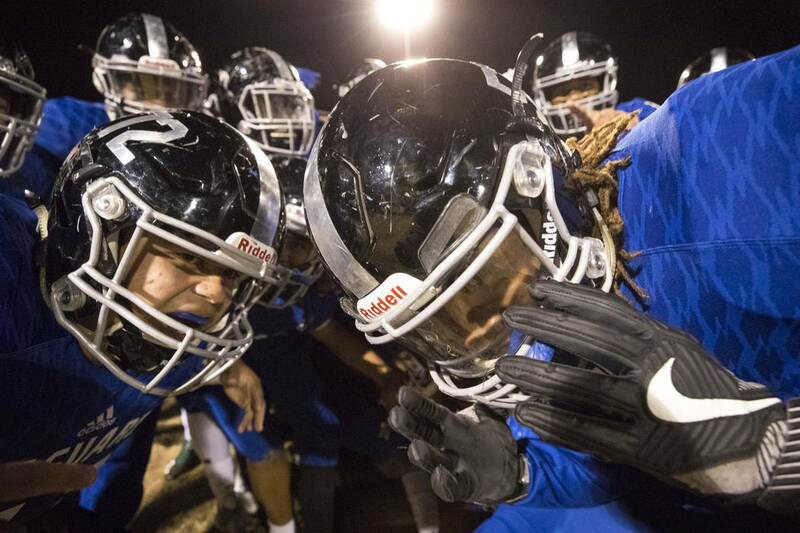 Desert Pines (8-2) has surrendered 25 total points in its last eight contests and will play Spring Creek on Saturday for a berth in the Class 3A state championship game. After the season, Ramsey will return to the weight room to bulk up. He posted straight A’s during the first academic quarter and is on track to finish high school with a cumulative GPA better than 3.0. Contact reporter Sam Gordon at Follow @bySamGordon on Twitter..